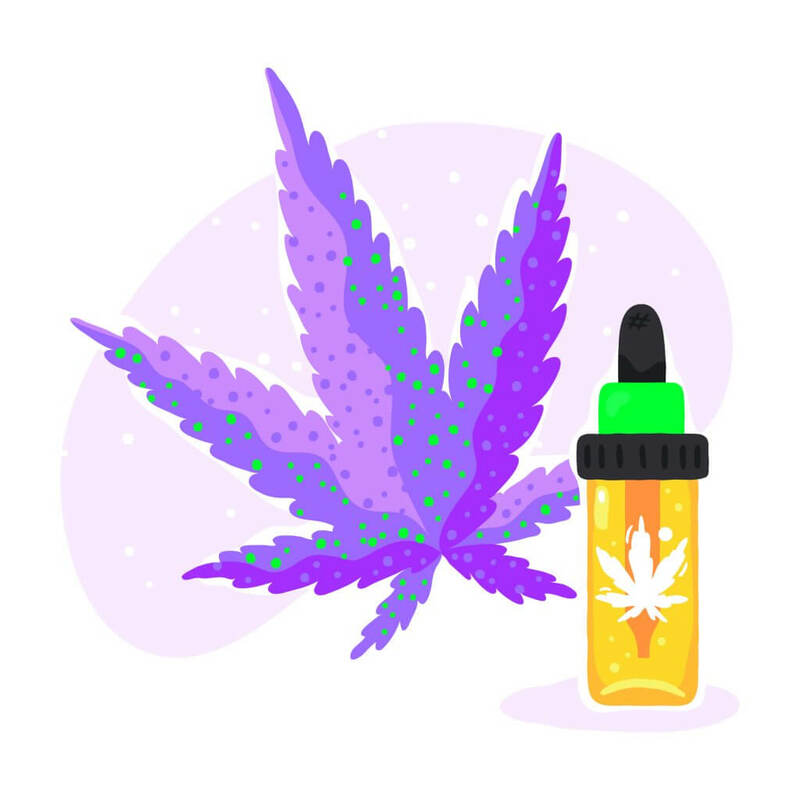 Cannabis oil is a new trend that actually has a lot of potential and allows us to use the benefits of medical cannabis without one of the worst parts: actual smoking. It is not a secret that inhaling smoke is far from healthy since tar and burnt microscopic particles contaminate our lungs making cancer and chronic bronchitis likely “side effects”. At the same time, there is no arguing about the benefits of cannabis. It is one of the best treatments for a wide variety of severe neurological and neurotic disorders including depression, social anxiety, Parkinson’s disease, and many more. On one hand we have undeniable advantages of marijuana for medical use. On the other — potential life-threatening chronic conditions. Quite a dilemma. What if we told you that there is a healthy way of using cannabis that has from little to no negative effects on your lungs? Meet cannabis oil — a substance that contains enough cannabinoids to ensure strong therapeutic effect. The substance is extracted from Cannabis Sativa. The process is similar to the extraction techniques used to produce various forms of cooking oils including vegetable and sunflower. While it is possible to use all parts of a plant to produce the extract, the preferable raw material is fresh leaves and flowers. The highest concentration of desired cannabinoids is in female specimen and using harder parts of the plant such as stems and short, meaty stalks is generally not efficient. High quality and high yields of cannabinoid-rich product are usually achieved during commercial production in laboratory conditions. However, the process is far from sophisticated and has been known to many cannabis users for decades. 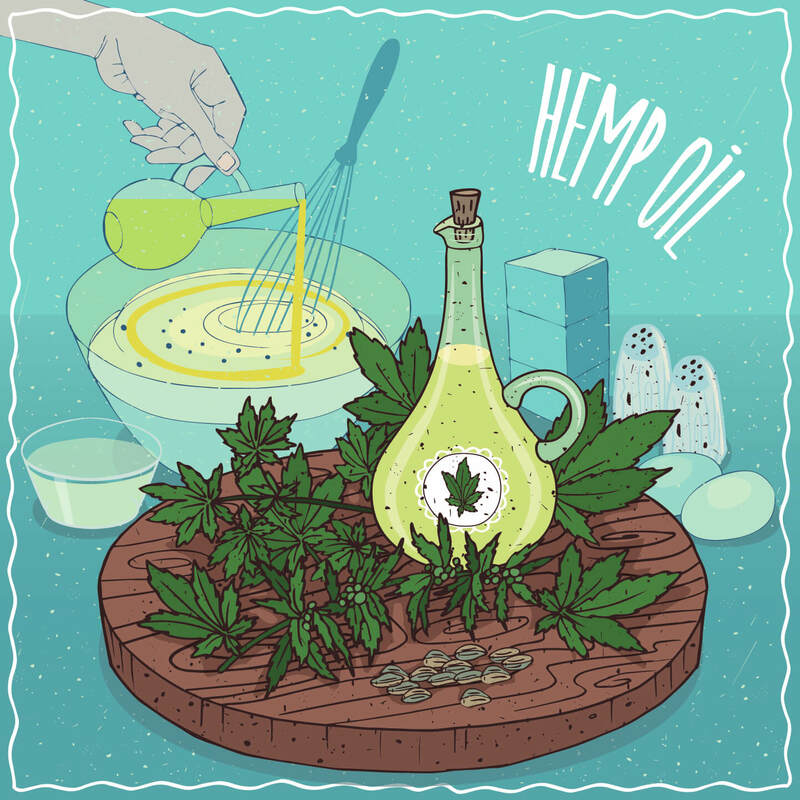 It is possible to make cannabis oil at home without any specialized equipment. You only need to know a couple of techniques and abide to basic safety rules. This method is not easy (if not impossible) to pull off at home without some high-tech equipment. The technique is based on using significantly cooled CO2 under some pressure. The liquefied gas is applied to plants allowing for a highly efficient oil extraction. The method is employed by laboratories where necessary conditions could be easily provided. The resulting product is a pure extract with a very high concentration of cannabinoids. This is one of the easiest ways to produce cannabis oil at home. You don’t need any equipment aside of deep pan and some vegetable (preferable high heat) oil like sunflower or vegetable. You need to submerge the leaves, flowers and stalks in the oil and start cooking until the temperature of the liquid reaches 245F. After that, you will need to cook leaves a little bit longer and then let the liquid cool down. Filter it with a cloth or a sieve. Use it as a regular cooking fat or apply it topically. Ethanol can be used to produce oils usable in vape pens and hookahs. It is an extract that contains a relatively low amount of cannabinoids. Nevertheless, the mixture provides health benefits and a desired psychotic effect albeit a weaker one compared to true oils. The biggest advantage of this particular technique is that it’s a relatively easy way to make some oil. You will only need a glass jar with a tight lid and high-quality alcohol (preferable made of grain). Since this preparation method is the safest one to turn weed into oil, we decided to talk about it in details. For this recipe you will need about an ounce of medical cannabis (dried) and roughly 4 liters of Everclear (or similar) alcohol (95%). Don’t forget to purchase gloves, glasses, and a respirator. There are several distinct stages of the process. Submerge the buds in the alcohol in a bowl. Smash the buds and stir the liquid until it changes the color to green. Strain the liquid and put it aside. After straining, put the residue from the strainer in the bowl and fill it with more alcohol. Repeat the process. Mix together all cannabinoid-infused liquid in a single container. Set up a simple double boiler. Cook off the alcohol until the liquid turns into a thick, green, oily goo. Stop the heat and let the mixture cool completely. Transfer the substance to a jar and close it tightly. Put the jar in a dark cold place for long-term storage. This oil can be used to fill vape cartridges or add an extra kick to a hookah mix. Remember to heat it up before using since the oil has a tendency to solidify in low temperatures. Oil is a very versatile substance that can be consumed in various ways. One of the simplest ways to utilize the MMJ is by rubbing it topically. It is a great solution for soreness and it provides a strong anti-inflammatory effect. Don’t use it on areas of the skin with rashes or cuts. Also, it is a good idea to consult your doctor before treating any skin conditions with the oil. Vaping is a preferable method of consumption of cannabis oils with high concentrations of CBD and THC. You need to choose an oil based on what effect you want to achieve. High CBD concentration provides a soothing effect making you calm and removing anxiety as well as counteracting tremor. THC-rich hashish products give you a distinct high that feels very different from smoking. 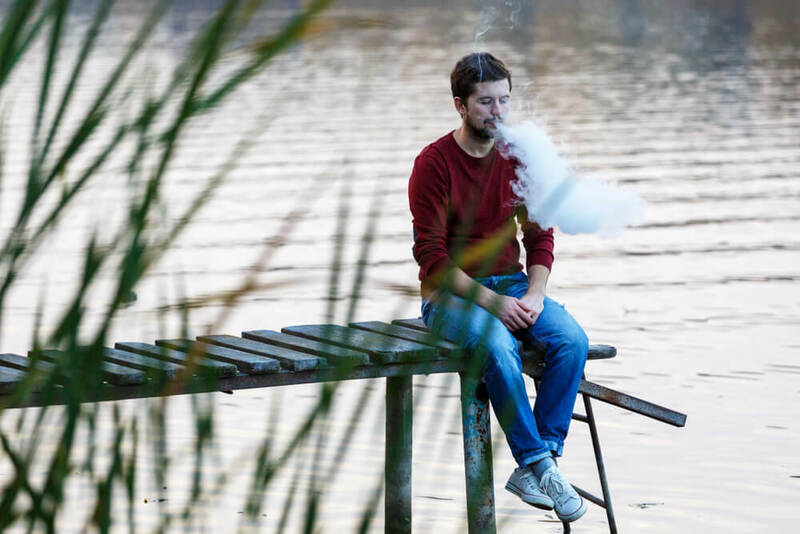 Vaping and smoking are prohibited in some places. The effect does not last long. One the other hand, you can ingest the cannabis oil by adding it to edibles like brownies. There are many edibles that you can find in specialized stores in regions where cannabis is legal. Roasting is a preferable method of activation of the oil. You can consume such edibles wherever you go. Again, depending on which effect you want to achieve, you need to choose between CBD and THC. The former cannabinoids oil will not provide a “high” but it will definitely help you to avoid anxiety and stresses. The latter is a great choice for people who want to experience a euphoric high and brighten the mood. Note that the THC concentration is regulated by law. The deviation from the allowed concentration in the substance should not exceed 0.03%. CBD is a non-psychotic compound that removes anxiety efficiently and rarely causes side effects. It is a cannabinoid legalized in all states of the US. THC, on the other hand, is closely regulated and can be used recreationally only in some selected states.